UZARI (Yuri Nawrocki) is a popular Belarusian artist, composer, arranger and performer. 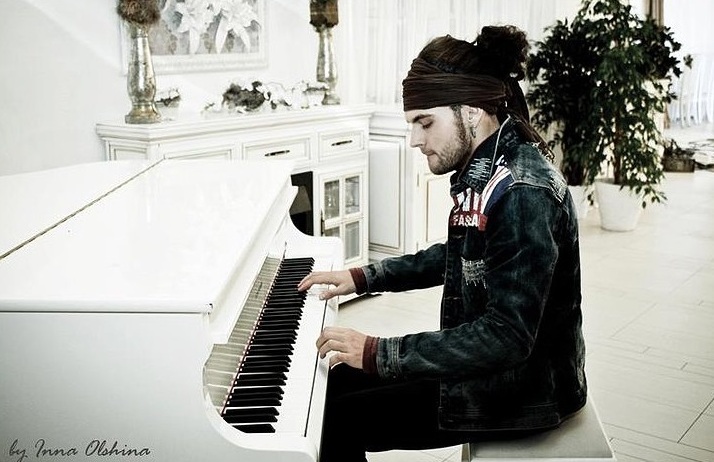 Born in Minsk (Belarus) on May 11, 1991 in a family of musicians. His mother, Galina Gramovich, is also renowned singer, soloist of M.Finberg lead State Orchestra. UZARI is author and performer of his own repertoire filled with different colors of modern sounding pop-rock and folk. Today, with the artist are associated, first of all, advanced features and professionalism. Uzari is equivalent of Yuri in Basque language, since he has some Basque roots, his mother wanted to give him such a name, but he was registered as Yuri, accepting later Uzari as the stage name. Graduated from Minsk secondary school № 28 (a class at theatrical department), studied at the National College of Music at the Minsk State Conservatory in choral conducting. In his youth played football for "MTZ RIPO" being candidate for Belarus Junior Team. 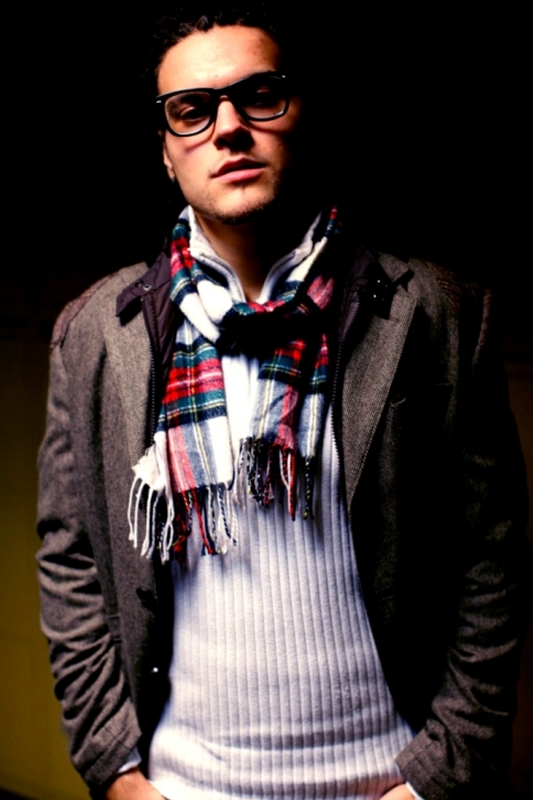 In 2013 he graduated from Saint Petersburg State University of Culture and Arts, Department of pop-jazz vocals. While studying at the university in 2008-2009 performed roled of Kay in the musical "Delicate Queen", St. Petersburg State Theatre "Music Hall". In 2010, he was the lead singer of the popular St. Petersburg group "True Jazz Band". In May 2011, performed as a backing vocalist for the representative of Belarus at the Eurovision 2011 Anastasia Vinnikova in Düsseldorf (Germany) with "I Love Belarus". Became laureate (11th place) of the contest of young pop singers "New Wave 2011" in Jurmala (Latvia) (Day1, Day2, Day3). Artist has already tried to reach "Eurovision" as solo performer. In November 2011, UZARI with the composition "The Winner" was top 5 finalist of TV music project "Eurofest" (Belarusian qualifying round for "Eurovision-2012"). Also, the singer participated in the national qualifying round of the contest "Eurovision-2013" with the song "Secret" (8th place). UZARI is also known as the author of the arrangement of the song "Sokal" (Falcon) for the young Belarusian singer Nadezhda Misyakova who competed at the "Junior Eurovision-2014". Laureate of "Song of the Year" contest 2011 with "Chto mezhdu nami" (What's between us), 2012 - "Tell Me", 2013 - "Secret". Also released other singles "I Wish" (2011), "Just Live" (2012), "Champion" (duet with Nina Bogdanova, 2014). In 2011 released promo EP "The Winner" with 5 tracks: "Never Ever", "The Winner", "I Believe", "It's Time" and "I Wish". Currently is recording his debut album. Recently launched company "Uzari Production" working with pop-music as well as jazz, soul, blues and country music, offering services of songwriting, recording, arrangment, mixing and mastering, promotion. More songs of UZARI can be heard of his soundcloud and Youtube accounts. Maimuna Amadu Murashko (nee Diko) was born in St. Petersburg (Russia) on May 28, 1980. She began her solo career in 2009. Works in the style of "Classical crossover". In her veins flows the Belarusian, African, Spanish and Ukrainian blood. Parents of violinist are chemists. Her mother is from Belarus, and her father is from Mali. Soon after Maimuna's birth family has moved to father's homeland, but it happened that at the age of 4 Maimuna's health wasn't coping with such a hot African climate, and she was sent back to her grandmother, living in Mogilev region in Belarus. To the music school Maimuna was brought by her grandmother. Studied in Mogilev music college, Academy of Music in Minsk. And after that there were a conservatory, a scholarship of the Special Fund of the President of Belarus, Maymuna became the first violin of the Presidential Orchestra and concertmaster of another orchestra led by Victor Babarikin. Winner of numerous awards: winner of the international competition "Young Virtuoso" 1990 (Kyiv, Ukraine); winner of the Grand Prix at the international competition held in Smorgon in 1995, as part of chamber ensemble; diploma winner of the international competition "Music of Hope" 1996. In 1999 was granted fellowship of the special fund of the President of the Republic of Belarus for support of talented youth. In 2003 Maimuna becomes concertmaster of the Presidential Orchestra of the Republic of Belarus. Recorded: "Humoresque" (by Kirill Cristea) (2009), "Czardas" of Monti together with accordionist Paul Nevmerzhitskiy (2010), "Libertango" of Astor Piazzolla together with accordionist Paul Nevmerzhitskiy (2011), song "Queen of Africa" (composed by Evgeny Oleynik, member of band "Aura", composer of Belarus Eurovision 2011 entry), for which later was filmed music video. Released maxi-single "Queen of Africa", which included songs recorded at different times, including two more track by Evgeny Oleynik: "My Moon" and "Morena". In 2014 released album "Showtime", that can be heard here. In 2012 debuted at the national Eurovision preselections as part of backing group for "Hands Up" of Aura and presented her song "Queen of Africa" at "Slavic Bazaar" in Vitebsk with ballet Maridans. In 2013 took part in show of ONT channel "Pop music cocktail". Maimuna fluently speaks English, French (since she lived in her childhood in Mali) and Russian languages. Married, has daughter Diana, 5, and son Philipp, 1. "Our song is about the main value of the 21st century - Time, which in some cases is working in our favor, and in others acts against us"
"Time" is the first collaboration between Uzari and Maimuna, proposed by the violinist. 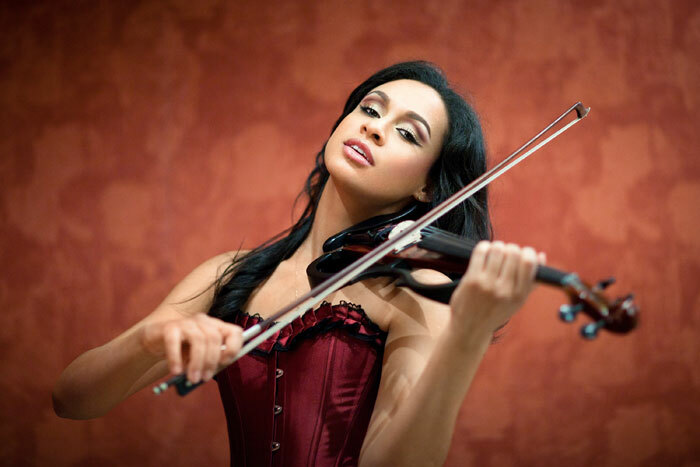 "I could not refuse to proposal of such a brilliant violinist as Maimuna! I spent several weeks in the studio, recorded as much as 4 variants of music. When we've listened to all versions, realized that the final one is the best. So we've decided to record it. Tones of vocal and violin perfectly combined in the chorus, it's a real musical dialogue! We've liked so much the result of our collaboration, so we have decided to submit this song to the Belarusian "Eurovision-2015" preselection", explains Uzari. Arrangement for the song was done by Vitaliy Sudyin, mixing and mastering by Dmitry Golodko (FORZ Studio). For national preselection UZARI and Maimuna collaborated with choreographer Olga Shamrova (known for Belarus JESC entries 2008, 2014 and Eurovision 2011), computer designer Kirill Blokhin, outfits designers sisters Marina and Olga Parfinovich and backing vocalists Alyona Protsko and Tatyana Trukhan. Prior to the national final was organized remix contest, and winning entry was Yuri Artem REMIX, created by one of the other participants of Belarus selection Yuri Artyomyev. This version was included in the promotional single for the entry. 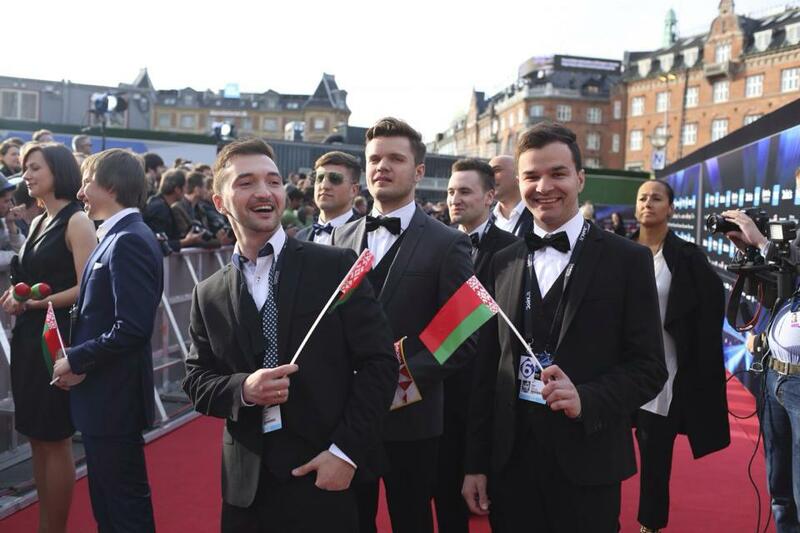 On May 10 the Belarusian delegation headed by deputy chairman of BTRC Marat Markov, will go to Vienna (Austria) for the International Song Contest Eurovision-2015. Belarus will take part in the most popular song show of Europe for the 12th time. Official representatives of our country duo Uzari & Maimuna with their composition Time will perform number eleven in the first semi-final on May 19. The Belarusian team consists of 21 people this year. On May 12 Uzari and Maimuna will test the stage of Wiener Stadthalle, where they will have the first rehearsal. On May 15 the contestants will have the second rehearsal, and then give a press conference. 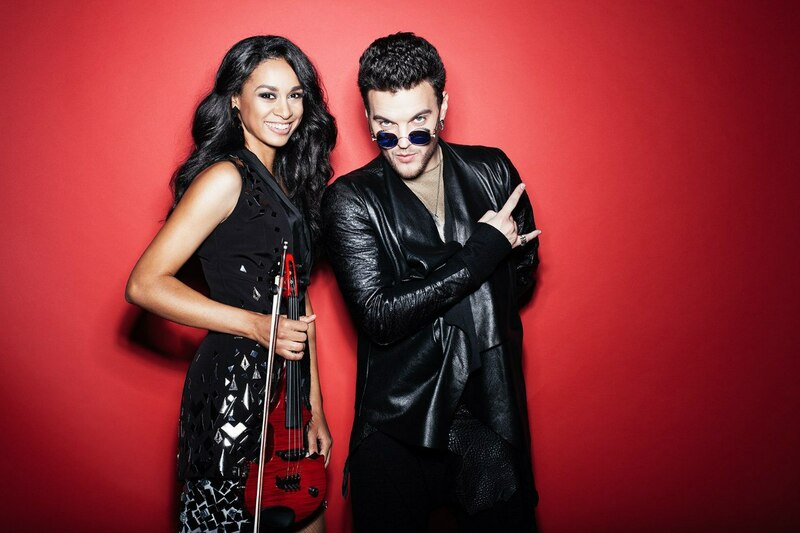 In the evening of May 17 Belarusian duet together with other performers will attend the opening ceremony of the contest, which will take place in the Vienna City Hall. 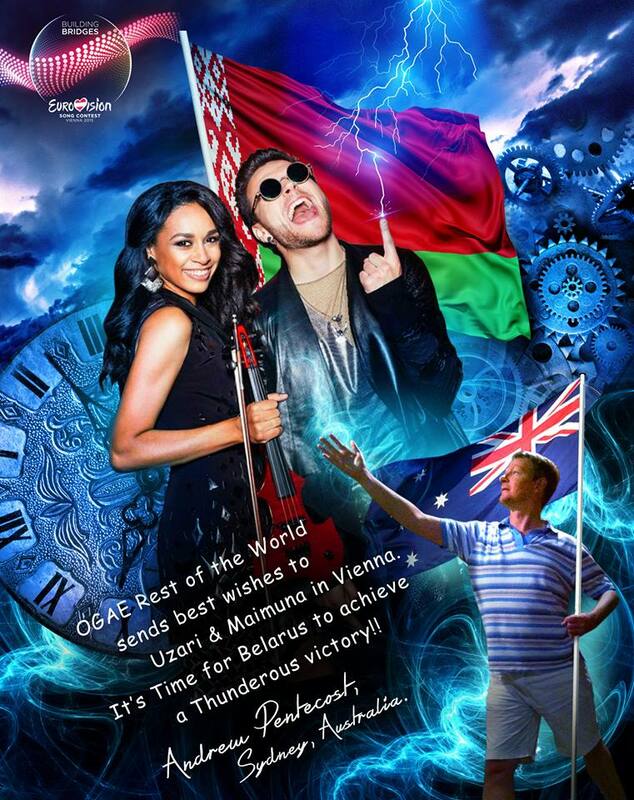 In Vienna, Belarusian delegation will present promotional products: postcards, presentation booklets, note pads and T-shirts, rugs depicting the duo and trendy electronic watches combined with USB-stick, which contains information about Uzari and Maimuna. Live broadcast of the two semi-finals and final of the contest will be traditionally held by channels Belarus 1 and Belarus 24. 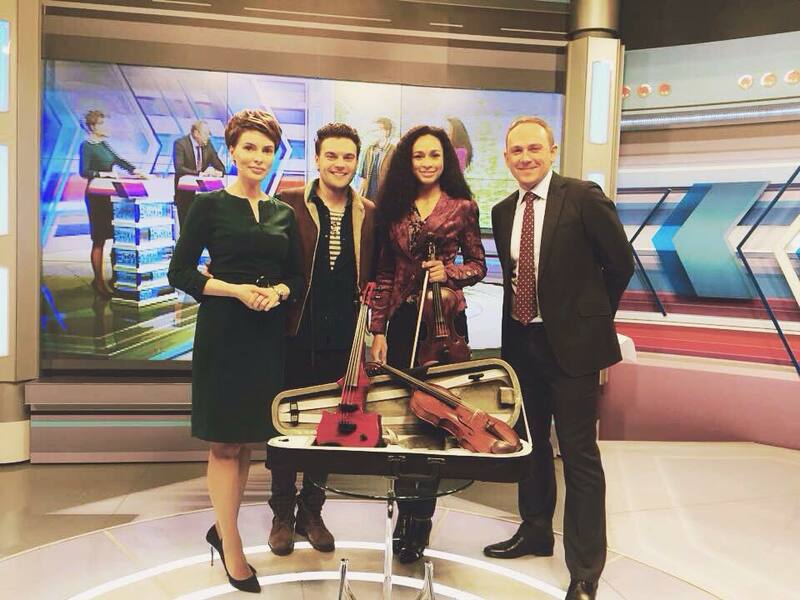 Comments of the music show will be provided by TV News Agency of BTRC and journalist Evgeny Perlin. In the final competition, which will take place on May 23, the points from Belarus will be announced by a popular singer and TV presenter, a participant of the last year's Eurovision Teo. The results of Eurovision are determined not only by viewers from all over Europe, but also by professionals in music industry. In each country, the overall outcome of the vote is composed 50 percent by the voters and 50 percent by the national jury. The jury of Belarus includes: Director of TV Channel Belarus 2 Natalia Marinova (chair of the jury); singer, songwriter, showman Vitaly Karpanov; an expert in the field of culture and art Oksana Artyushevskaya; singer, vocal coach Alex Gross; singer, songwriter Iskui Abalyan; TV host, producer Dmitry Karas. Learn about the most important and interesting events related to Uzari & Maimuna and their team during the competition week from the reports of TV News Agency, as well as special Eurovision Diaries, the first issue of which will be aired on the TV channel Belarus 1 on May 11. In addition, the official site of BTRC, tvr.by, will display an online diary of Uzari and Maimuna from Vienna. 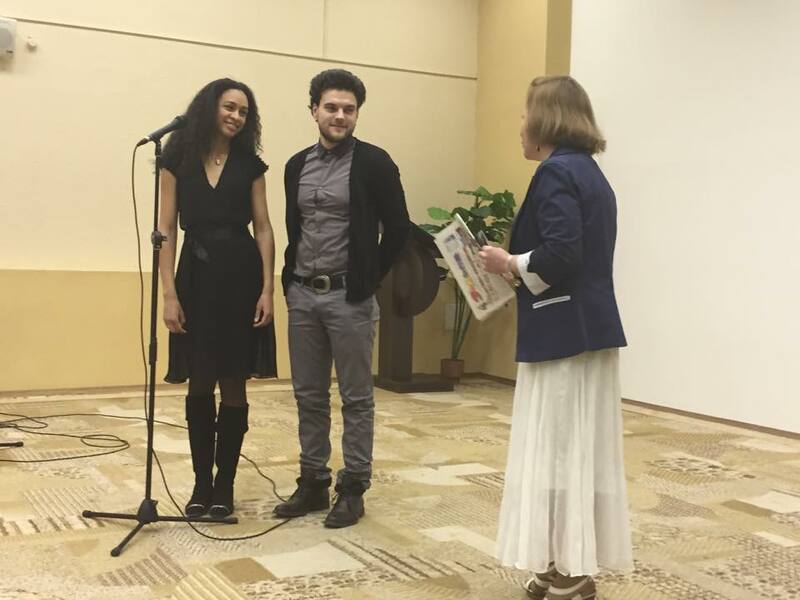 The event was attended by Uzari & Maimuna, their team members Denis Lis and Artyom Ahpash, previous entrants Teo and Alyona Lanskaya, national final participants band Napoli, Alexey Gross, Irina Dorofeeva, Aura and Evgeny Oleinik, band Muzzart, Anastasiya Malashkevich, "Beatris", Vitaly Voronko, current and former heads of national selection Olga Schlager and Alexander Tikhanovich and other celebrities: Iskui Abalyan, Vitaly Novikov, Vasiliy Rainchik, Alexey Khlestov, Marina Curry, Alesya Boyarskikh, Ksenia Baranovskaya, Barbara and Eduardo, Olga Tunik, Elena Spiridovich, Svetlana Borovskaya and others. 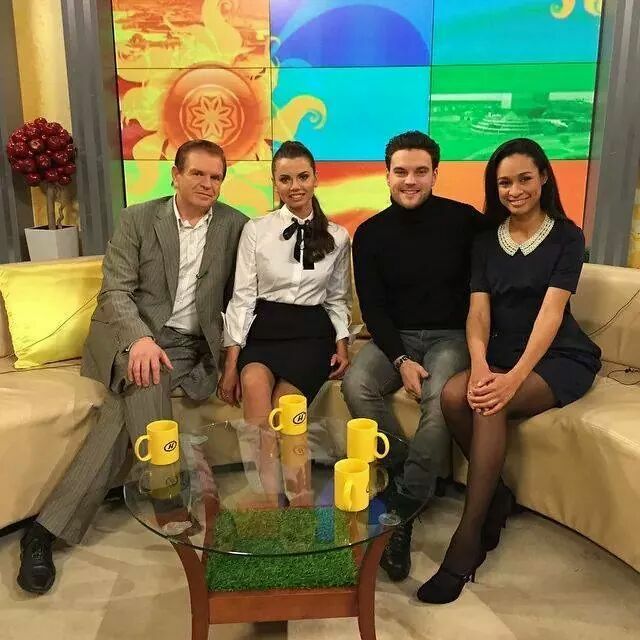 Belarus artists Uzari and Maimuna got a role in Austrian TV series. Listen here to the winning version, performed by rock band Pitchmod and singer BreakTheSadness from Grodno, Belarus. Watch BTRC video reports here and here. 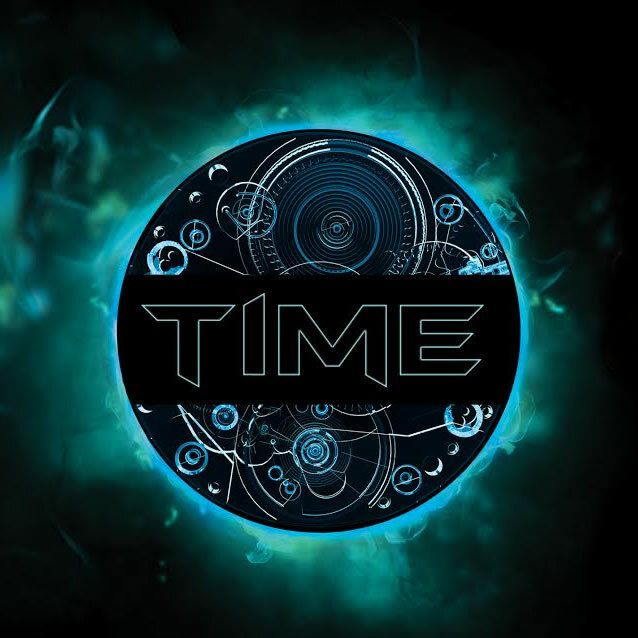 BTRC sums up the contest of cover versions for the song "Time". Uzari & Maimuna chose from a variety of arrangements sent to them the ten best, which will now take part in the final of the competition. The versions of the Belarusian song have been sent in from Australia, Italy and even the United States. Most participants, of course, come from Belarus. The winner will be decided by the national voting. On 3 April in a live broadcast of radio station "Radius FM" listeners through SMS voting will determine the best cover version. It's author will receive two tickets to the concert of the first semi-final of "Eurovision-2015", where representatives of Belarus will perform. The radio show will be held from 17.00 to 19.00 local time (16.00-18.00 CET). Earlier it was reported that the results will be announced on 2 April, however, the artists got an offer to perform on the day at a concert dedicated to the Day of Unity of Belarus and Russia. On 28 March at Europa Plus party in Prime Hall. Today, Belarus representatives at Eurovision Song Contest Uzari and Maimuna took part in online-conference, where they have answered questions of Belarus and foreign fans of the event. There was live video broadcast from the conference and you can see footage in Russian here or read complete text (also in Russian) on BTRC website. Maimuna: "I like both versions: the old and the new. We have worked very hard on the old version, and it was our very first 'baby', we love it too, and we probably still are going to play it. But it apeared too complicated for this contest, some things had to be adapted for the "Eurovision". The fact that we are an unusual duo - voice and instrument - it is quite a complication in itself, and besides, we had such moments in the song that made it difficult to perceive at this competition. It was non-standard, very complex form, so together we came to the decision that we need to make it easier". Uzari: "The fact is that there were no serious changement in the arrangement made. When it comes to the chorus, then basically nothing has changed there. We've just changed the song form, its intro, increased the melody of the chorus. Because in the old version the melody of the chorus sounded only twice. We started with the motif of the chorus, because we think that it is very beautiful, lyrical, dreamy. And we've changed a part of violin and made more complex and detailed solo ". "We've sent the applications and asked to submit the ideas for the video, then we have chosen the best, in our opinion. It was important to take into account that we're a duet, to take into account some stylistic features. Only one application was complete and consistent with our wishes, plus there was immediately proposed a method for its implementation. The video was made by great guys, young, ambitious, driving. The goal was to finish off everything in one day. The conditions were spartan - it was very cold, but I guess it helped to create mood and atmosphere in the video, feel the complexity of time and pass it to the viewer. In this clip there are a lot of meanings. The beauty of it is that everyone can understand the ending differently. Roughly speaking, this is cheating in a relationship between man and woman, or the ability to stand in place of another person, or the ability to sacrifice yourself for the sake of the other"
Maimuna: "Nina Draco - a famous film director is working on our staging. There we will be we together with Uzari and violin. The staging will be quite different from the performance at the national selection. Everything will be very beautiful." Uzari: "Everyone wants to know what will be in the stage presentation, but then there will be no buzz. If we tell everyone, then entering the stage ourselves, we will feal it's no surprise, and everyone already knows what would happen. It makes it so uninteresting". Maimuna: "Costumes for us are developed by a very talented Belarusian designer Olga Bukhal. She also worked on our image during a photo shoot. The results will appear at our promotional products. Over our makeup, our faces and in general the stage image is working stylist Nadezhda Slizhevskaya." Maimuna: "We, like the other 39 participants in this contest, of course, want to win. If we say that for us taking part is enough, this is not true. We, of course, want to win, and do everything possible for that. In our semi-final, as I recall, the songs are quite different and interesting, it's difficult to highlight someone. This year's competition is very diverse, unique". Uzari: "There are quite a few duets this year, but no duet is similar to ours. I think that song with such philosophical meaning also is the only one in the contest." 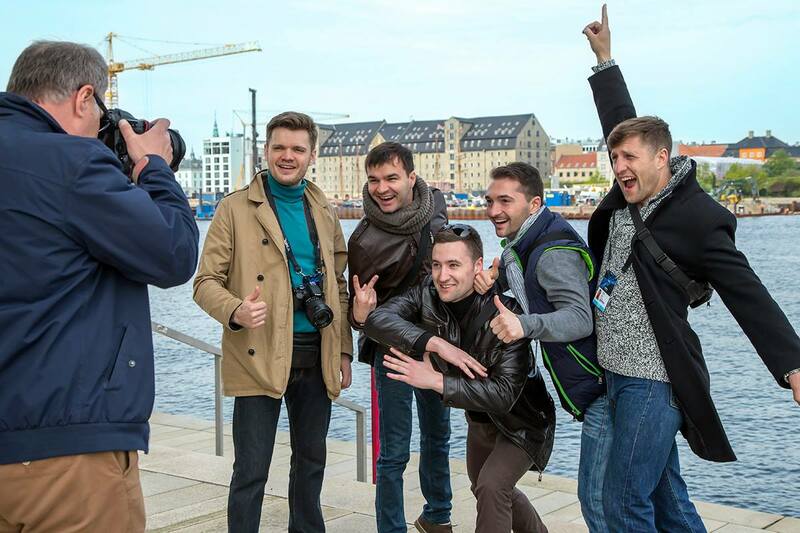 In Vienna today took place final shootings for the Belarusian Eurovision 2015 postcard. Uzari and Maimuna have appeared on the set in the early morning. They were met there by make-up artists. Then the artists got to the site of the popular TV series in Western Europe - "Tatort". This series is leading rankings in Austria, Germany and the Netherlands. Every Sunday, millions of European viewers follow the plot of the detective series. So, firstly, Uzari & Maimuna will appear in one of it's episodes. Secondly, shots from this filming will make to postcard of Belarus. 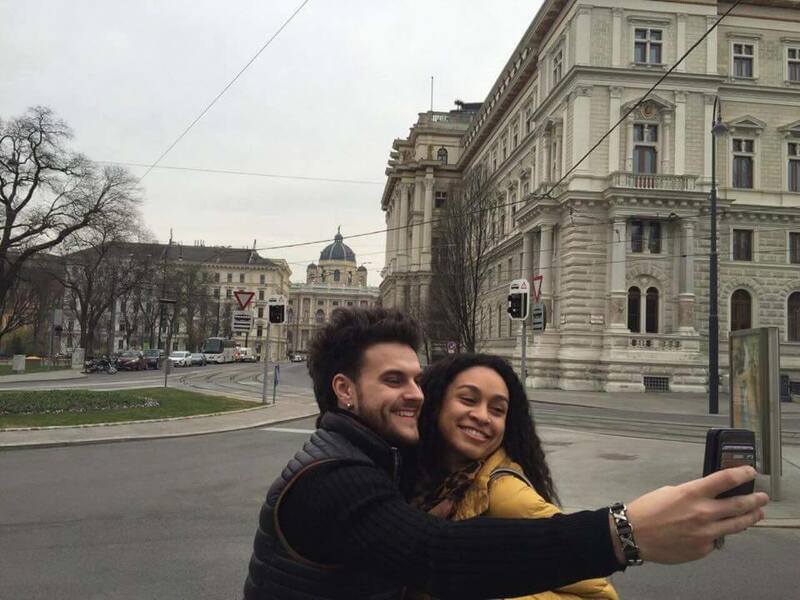 Yesterday, contestants were able to stroll through Vienna, to explore the city and to see the concert hall, where in May will be held Eurovision Song Contest. Today they also saw the hotel where they will be staying in May, for two weeks living and preparing for "Eurovision". Also today Uzari & Maimuna plan to have a meeting with the organizers of the contest. Tomorrow morning Uzari & Maimuna, as well as representatives of BTRC will return to Minsk and will continue to work on the stage presentation of their entry. Reports of BTRC from Vienna can be seen here and here. On Tuesday, March 31 from 09:00 to 10:00 CET coordinators of Eurovision project in Belarus Olga Schlager, Olga Salamakha as well as the representatives of Belarus in ESC 2015 Uzari & Maimuna will give online conference at BTRC premises. During the conference, which will be published on BTRC website, managers of the project and artists will answer questions of internet users, fans, domestic and foreign journalists. In particular, guests will speak about their preparations for the "Eurovision", the members of Belarus delegation, the results of cover versions competition, shooting of the postcard of Belarus in Vienna, and impressions of Uzari & Maimuna from visiting the singing capital of Europe. Your questions can be asked by filling out a special form on the website www.tvr.by or sending e-mail to internet@tvr.by. The answers to the questions, as well as photo and video report will be available on the website of BTRC in the relevant section. In the same section is available an archive of previous conferences and you can still read December online conference with Uzari & Maimuna and Olga Schlager. Uzari and Maimuna recently had a professional photo shoot - short report on it was aired during the news broadcast of "Belarus 1". Belarusian participants of "Eurovision" were invited to the fashion pavilion by famous Belarusian photographer Tatiana Kezha. Creation of promotional products for the participants is currently in the final stage. And designers have asked for more bright pictures of Uzari and Maimuna. The first part of the shooting took place in classical outfits. However, it should be noted that these outfits have nothing to do with the ones Belarusian duo will be wearing at the Eurovision stage itself. The second half of the shooting was devoted to the photographer's experiments. After processing the photos will appear on promotional products of Uzari & Maimuna - branded T-shirts and brochures. Tomorrow Belarusian participants of "Eurovision" will travel to Vienna for two days to complete filming of Belarus postcard. 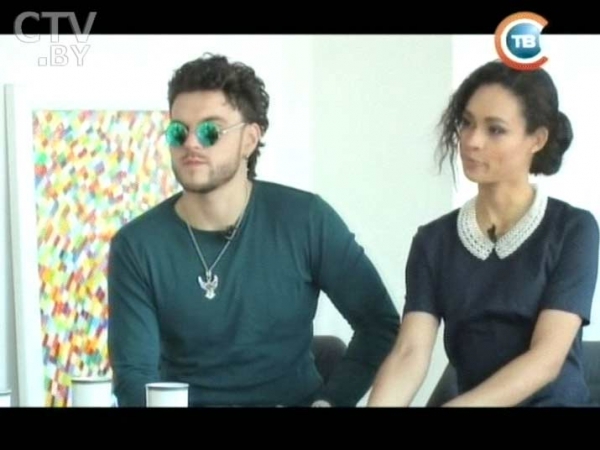 Uzari and Maimuna, duo that will represent Belarus at "Eurovision-2015" in Vienna, have answered questions of "The Big Breakfast" on CTV channel. Video of the interview can be seen here (in Russian). Maimuna: "The mood is excellent. We have prepared our outfits. Well, my one is still not completely ready, but it is in the final stage of it's production now". Uzari: "Actually, I already have the elf image, though a little different than it was before." Maimuna: "Firstly, we have a bit of an unusual entry. In my memory there was no such equal duet between vocalist and instrumentalist at Eurovision. This adds some complexity. We did encounter some problems, so we have altered arrangement a but, because the song was, in fact, complex. Perhaps even too much for this competition. We liked the form in which it was originally, but now we had adapted it a little to this competition." Uzari: "Just added a touch of another genre. The character, the mood remains the same." Maimuna: "We have such a mix of pop-rock and classics. There are some symphonic moments. This brings the complexity in itself. Therefore, we will not add to the stage presentation any acrobatic movements..."
Uzari: "For us the most important thing is to demonstrate the sense of taste, style, and do not overdo it and show too much of our capabilities. It is important that the viewer wants to see and listen to our performance again." Today in Minsk was held shooting of the main part of Belarus postcard, which will preceed performance of Uzari & Maimuna at Eurovision 2015. This year the theme of the postcards includes a surprise parcel, sent by the organizers of the competition, which is delivered by an an employee of the national postal service. Gift includes an invitation to Austria, where on March 25-27 artists will meet another surprise. Austrian cameraman Matthias Poetsch is one of the three cameramen who is shooting postcards for all participants of Eurovision. Each has got approximately 13 countries to work with. The start of filming was scheduled for 8 am. Center of the city seemed empty, but in just a half hour traffic occupied the city. It was necessary to choose the most beautiful places in the city center and to make a video of delivery of gift from Vienna on the company car driven by an employee of RUE "Belpochta". The shooting took place in the Upper Town, a suburb of the Trinity, in the opera house and the area of ​​Victory Square. Around 10 am on the set came Uzari and Maimuna. Austrian broadcaster and producers of "Eurovision" has carried out preparatory work on site, in particular, they have been looking for the most suitable door, so that it would look interesting and European on the screen. Thus, a small part with Uzari & Maimuna was filmed in the Upper Town, where the suitable door was found. Austrian guests enjoyed a sunny Minsk, beautiful and big quarter of the Old Town. Matthias Poetsch said that he has already made postcards for 10 countries. He hopes that he will be able to reveal in such a small, but important video, as a postcard, features of Belarus, so that the audience for the broadcast of the show is able to get a more complete picture of the country. The filming didn't go without small oddities. "Belpochta" worker who according to script has delivered the parcel from Vienna to Uzari and Maimuna, was disagreeing to leave it at the door. He explained that his duty includes delivering parcels only from hand to hand. The film crew had to persuade the mail carrier, because the plot of the postcard prescribed it to be left on the doorstep. Until the last very moment, before the final shot Uzari and Maimuna were not allowed to look inside the box. They were left intrigued for three hours of filming. But delivery of parcels - this is not the whole story of the postcards for "Eurovision". At the beginning of the next week Uzari & Maimuna will go to Austria to shoot the final part there. The whole day together with the Austrian team worked also crew TV News Agency that included journalist Evgeny Perlin and cameraman Oleg Sorkin. All the details of postcard filming viewers of "Belarus 1" were able to see in program "Panorama". Throughout the week, karaoke lounge "Grand Bellagio" became a training camp for the representatives of Belarus at "Eurovision 2015". We remind that this year Belarus is represented by duo Uzari & Maimuna and vocals of the lead singer will be strengthened by the team of backing vocalists, who already performed in Eurovision 2015: Artyom Ahpash, Denis Lis and Yuri Seleznev. Artyom Ahpash is known in a casino "White Tower" as a session host of the shows, and Yuri Seleznev for a long time was resident of Friday and Saturday evenings of the restaurant "Grand Bellagio". All rehearsals took place with the participation of well-known Cypriot singer, composer, producer and vocal coach Alex Panayi. Report of Evgeny Perlin can be seen here. Third member of choir to accompany Uzari and Maimuna is known now. At the backing vocals will reappear three participants of last year's performance of Teo: Artyom Ahpash, Denis Lis and Yuri Seleznev. First rehearsals will start shortly. To work with Uzari and Maimuna, as well as backing vocalists will arrive well-known Cypriot vocal coach, composer and performer Alex Panayi. Artyom Ahpash is Belarusian with Greek roots, professional show and radio host, vocalist. Graduate of the Belarusian State University of Culture and Arts. In the recent past DJ of the morning show "Men's territory" (Radius FM), as well as host of the morning program "Morning. Studio of good mood" (STV channel). For more than two years - the "voice" of the program "Autopanorama" (STV channel). Host of numerous concerts, shows, corporate parties, weddings, graduations, etc. The only Belarusian singer, performing pop and folk songs in the Greek language. He is awards winner of various festivals, including: the festival of national cultures (Grodno), Greek Pop Song Festival (Ukraine, Mariupol) , the festival of Greek culture "Mega Yurts" (Ukraine, Mariupol). 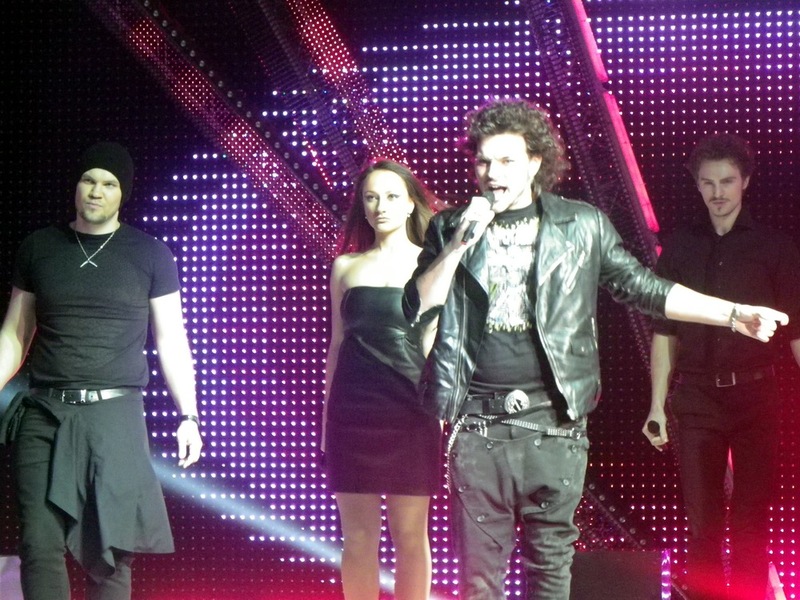 In 2007 Artyom performed with band "PiNcode" at Belarus Eurovision preselection Eurofest. He also served as the backing vocalist of Anastasiya Vinnikova at her Eurovision performance. "Overcoming all the elements in order to save the girl" - this is the main idea of the music video of Uzari and Maimuna. Shootings took place in a pavilion near Minsk. As in the video for the song "Tell Me" Uzari will once again appear in the image of modern Elf. For more than three hours the singer had to practice fitness - jogging on the treadmill at a speed of 20 km/h. 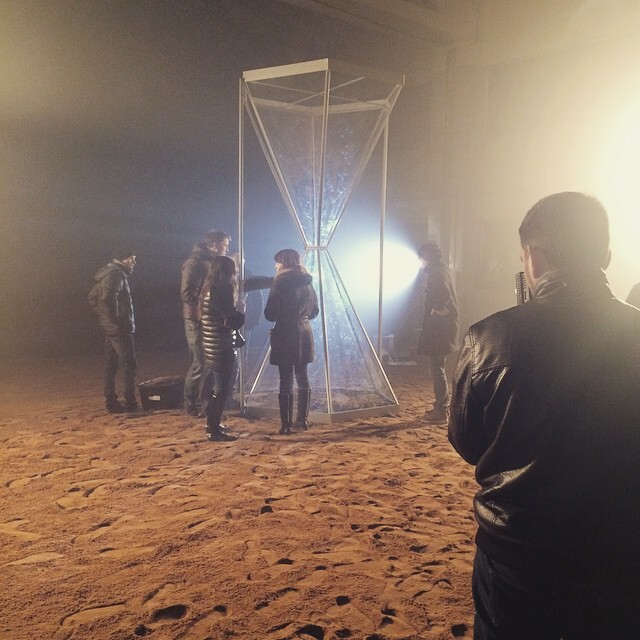 In the story of the clip Uzari runs on a large desert, the sand, which has alredy covered dozens of people. For the filming were brought more than 11 tons of sand. Every hour weather in the pavilion was changing - smoke, fire, snow and wind. The culmination of the video will be the scene with great scenery - three-meter high hourglass, inside of which will be Maymuna with her violin. Report from the set by Evgeny Perlin was aired by "Main broadcast" of the Belarus 1. Video was filmed within one day and will be presented by the time of heads of delegations meeting. 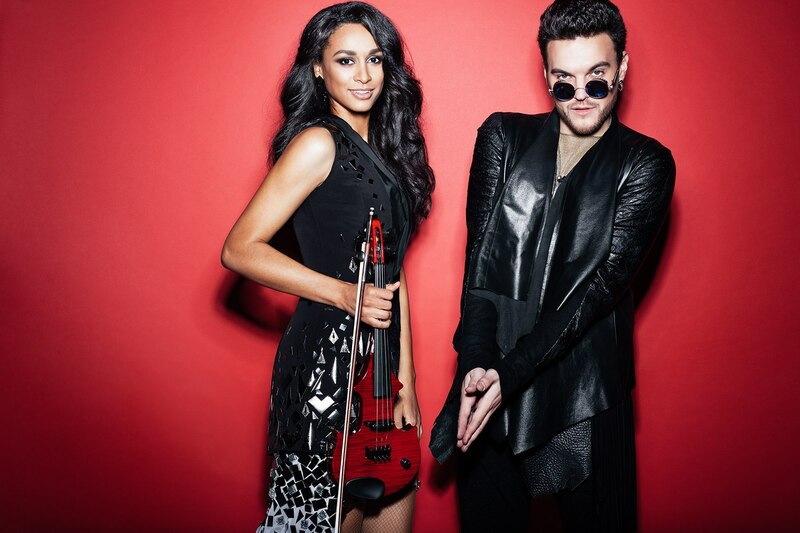 It has been officially confirmed that on the stage of Eurovision 2015 in Vienna Uzari and Maimuna will be joined by at least two male backing vocalists: Denis Lis and Yuri Seleznev. Denis Lis is a professional vocalist, musician, composer. He is not only talented singer, but also lecturer at Belarus National College of Arts. For several years he taught at the Vitebsk College of Culture and Arts. 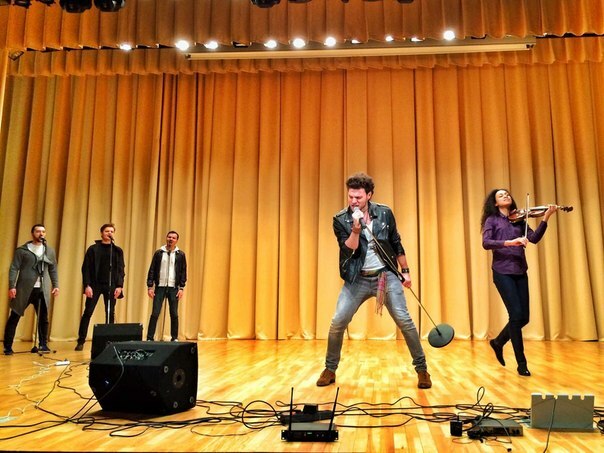 In 2014, Denis performed at the Eurovision Song Contest in Copenhagen as part of a backing vocal group of Tteo. At the national final in 2015 he has presented solo entry "Angel", and in previous years has performed there as backing vocalist of Gunesh and Dmitry Koldun (being lyricist of his national final entry "Angel mechty"). Yury Seleznev graduated from Vitebsk State School of Music specializing in trumpet, as well as Belarusian State University of Culture and Arts. Hobbies - Taijiquan, psychology, biking, poetry, composing music. Currently, he is the soloist of the National Concert Orchestra of Belarus lead by Mikhail Finberg. Also performs in a cover band "Domino" and another group "Chiefs Band". Performed as backing-vocalist of Uzari at the national preselection in 2012. 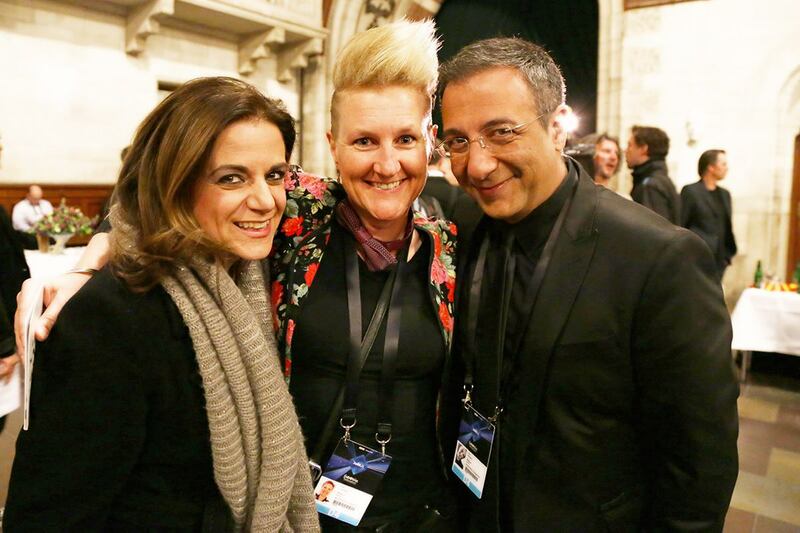 Was backing vocalist at Eurovision 2014 in Copenhagen with Teo. Listen to his music here. We remind you that at the national preselection Uzari and Maymuna performed with two female backing singers, Alyona Protsko and Tatiana Truhan. Also in recent days it became known that Uzari & Maimuna will perform at the Eurovision stage in outfits by Olga Bukhal, who has already develops outfits for representatives of Belarus at the Junior Eurovision Song Contest 2014 Nadezhda Misyakova and her dancers. Eurovision promotional products for Uzari & Maimuna are being developed by photographer and designer Anna Gert. In the nearest future to Minsk at the invitation of BTRC will arrive well-known Cypriot singer, songwriter, producer and vocal coach Alex Panayi. Alex himself twice represented his home in Eurovision, also worked on preparations of Elena Paparizou, Tolmachevy Sisters, and Belarusian participants of "Eurovision" since 2012 - Litesound, Alyona Lanskaya and Teo. In the classroom with Panayi Uzari and his backing vocalists will improve their singing. In addition, at the invitation of BTRC in preparation for the competition and during the meeting with foreign media delegation will be assisted by PR-manager Kath Lockett (Australia / Switzerland), who is EBU Media Liaison of "Junior Eurovision" and already collaborated with the Belarusian team last year. Today Uzari & Maimuna started shooting music video for the song "Time". Video is produced by company MediaCube. The producer of the videos is Michael Bychenok and director - Mitriy Semyonov-Aleynikov. Especially for shooting in the pavilion wast built unique scenery - a giant clock. 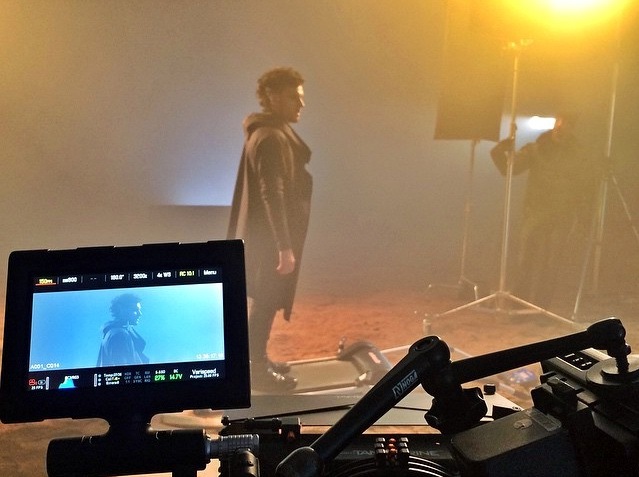 The video is promised to be full of special effects and exciting plot twists. 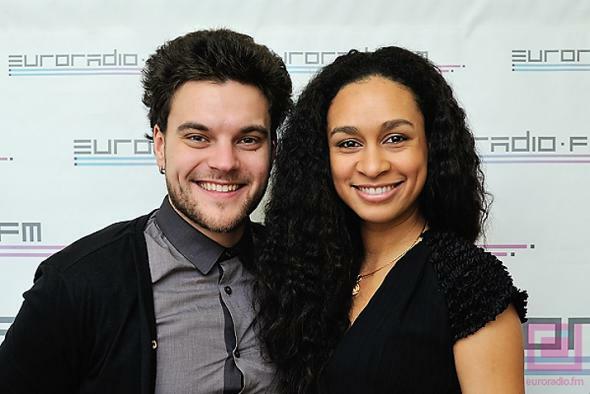 Belteleradiocompany and representatives of Belarus at Eurovision 2015 Uzari & Maimuna have announced the launch of cover-versions competition for the Belarusian entry "Time". Main prize is – two tickets for the Eurovision Song Contest. Those who want to take part in the competition, should record their own arrangements of "Time" and submit it by March 31 to e-mail uzari.maimuna@gmail.com in audio or video format. Uzari & Maimuna themselves will shortlist 10 best submissions. The winner will eventually be chosen by the whole country. On 2 April in live broadcast of "Radius FM" radio listeners via SMS vote will determine the best cover version. It's creator will recent two tickets for the first semifinal of Eurovision 2015, in which will compete Belarus entry, as well as chance to perform his version of "Time" in live broadcast of "Belarus 1". Main conditions: participants of the contest should be over 18 years old, the length of the version should not be longer than three minutes. Cover-version can be recorded using any sort of equipment, in Russian, Belarusian or English language, but at the same time it should not be direct translation of Eurovision entry. We can remind you that similar contest last year was also held for cover versions of Teo's "Cheesecake". 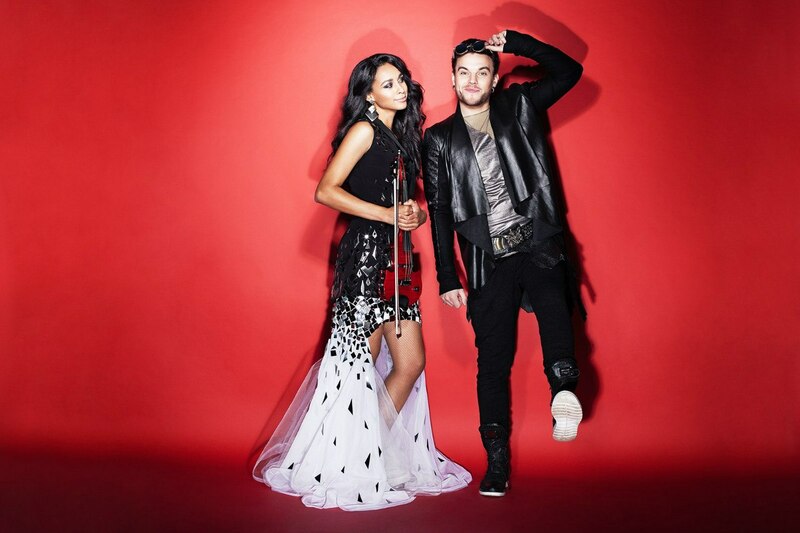 Official representatives of Belarus Uzari & Maimuna have finalized a new arrangement of the song "Time". For the first time the updated version will be presented on February, 25, on stage of the Palace of Sports during the awards ceremony of the open public competition "Triumph. Sports Heroes 2014". The same evening, during the broadcast of the TV version of the show viewers of "Belarus 1" and "Belarus 24" will be able to evaluate the song. "In the work on the new arrangement was involved Ukrainian group "Quest Pistols", they were advising and helping us. Probably, they will also be working on mixing and mastering of the song"
In the upcoming days Uzari will also record new vocals, and immediately thereafter shooting of the music video will start. For production of the video was chosen Belarusian company, and, according to the script, the video will be full of special effects. It was decided not to run any shootings outdoors because of the delicate violin of Maimuna, but in the pavilion will soon begin construction of a huge hourglass. Belarus designers are also working on outfits of the performers. Maimuna will wear a yellow dress. Its upper part symbolizes reference to the future, and the bottom - collapse of the past. In outfits will also be encrypted initials of artists - U & M. Uzari will wear space coloured outfit - of dark graphite colour. Work is in progress also on the make-up and hairstyles. Image for Uzari and Maimuna is developed by stylist Nadezhda Slizhevskaya. Several sessions with musicians will held teacher of acting. To be ready for the multi-million TV audience, the artists are working with psychologist, getting training on communication with journalists, and are already working hard with a vocal coach. BTRC is also working on the promotional products of the duet. This year, Belarus will not produce a promo CD, but USB flash drive in the form of clocks. Another promo - magnets in the shape of an hourglass and logo of Belarusian performers. Check BTRC report on preparations here (in Russian). Less than a month is left before the official meeting of the heads of delegations in Vienna: on March, 16, the Belarusian delegation will submit the complete package of materials required for the participation in the competition. On April, 18, Uzari & Maimuna, representatives of BTRC and the crew of our TV News Agency will take part in the "Eurovision in Concert" in Amsterdam. Almost all participants of the upcoming show will meet in the capital of the Netherlands, and the song "Time" will be presented to Eurovision followers. The party in Amsterdam is the largest promo-event of the contest. Official representatives of different countries at "Eurovision-2015" will be able to meet each other, to perform their competitive compositions, communicate with journalists of international media. 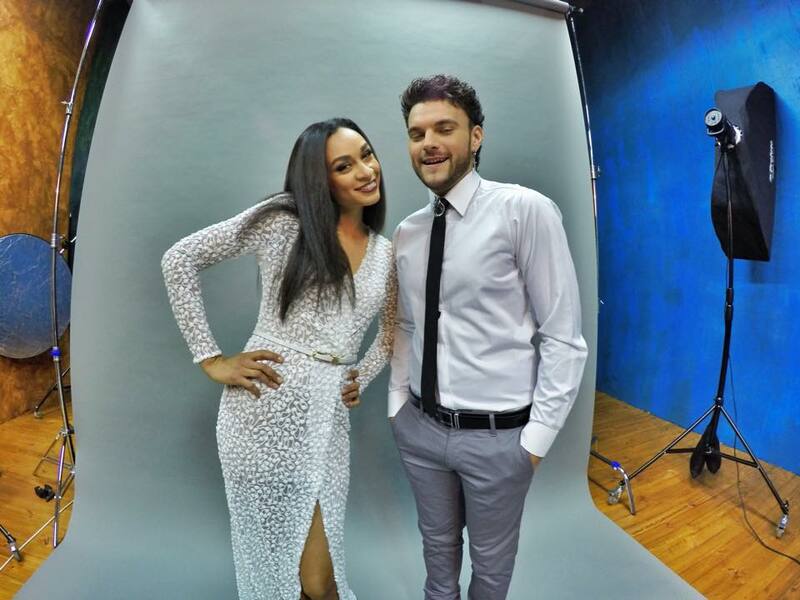 Representatives of Belarus at Eurovision Song Contest 2015 Uzari and Maimuna continue active preparations for the participation in the international show. 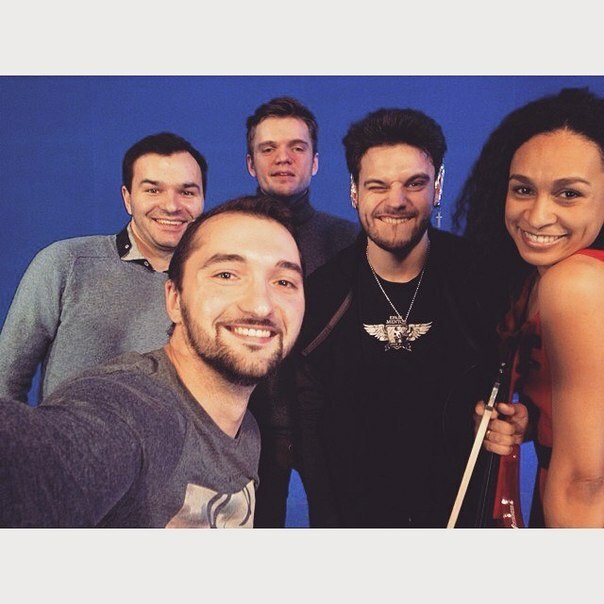 Artists have performed their entry "Time" in broadcast of STV channel "Same place, same time", became guests of "Main broadcast" program (25 January and 28 December), "Panorama", "Belarus LIFE", "TeleUtro" on BTRC channels, "Our Morning" on ONT etc., gave interviews to newspapers "Znamya yunosti", "Zorka", website BelTA. 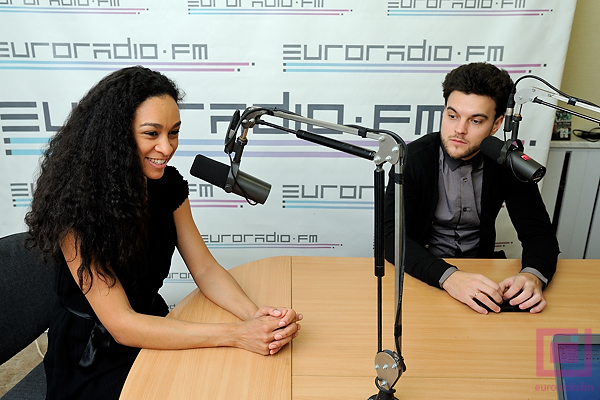 Recently, performers became guests of "Euroradio" and below you can read few quotations from the interview on this radio station. "Our determination is different from the previous representatives of Belarus", says Uzari. "For us, the contest is not 100 meters race. You can not compare the sport with the art. I wish that it was approached more easier, with fun, and not considered as a torch, which needs to be passed to another country. So, the easier and safer you feel about your task, more clearly, rationally and without any fear you can evaluate the situation. And not to struggle in a panic and regret not taking in the account this or that, and then, of course, you will do something wrong". Singer noted the importance of team building: "The team working on the performance should give themselves not 100 percent, but all the 1000! Everyone. And the more flexible your character is, faster you will make the team. If you are out of the team, there will be no result. The result can occur only through a team play". In past years, in the preparations of Belarus entrants were often involved foreign experts - arrangers, choreographers, vocal coaches, PR managers. To date Uzari and Maimuna work with all-Belarusian team, as it was the last time, with the participation in the Eurovision Song Contest in 2011, where Uzari performed on the backing vocals of Anastasia Vinnikova - performance, which, according to the artist, gave him invaluable experience and understanding of what Euroweek is made of. However, it is still possible that in a preparation team will be invited foreign consultants. One of the problems participants of Eurovision face is a tendency to focus just on one song, says Uzari. "The fact is that in Eurovision there is one major negative point - the winner usually is, unfortunately, one hit wonder. All those who won recently, are remembered only for one song. Of course winning in such a large-scale competition is great. But the contestants have to face this bold negative point, and struggle to be removed from a title of performer of one song". However, there is recipe for dealing with this - at the time of Eurovision performed should have in hands at least an immediate follow-up single, and ideally - a complete new album. Uzari already has in his portfolio a dozen of hit singles, but will he be able to prepare till May a complete debut solo album? At least in an interview to ESCKAZ in December, singer mentioned that work on it is constantly ongoing. One thing is sure - in the near future we will hear a number of alternative versions of the contest entry "Time", so that it is represented from different sides. Already recorded are versions in styles country, electro-pop, acoustic version. There may appear also folk version of "Time": "If the melody of our songs is added to the folk image, if it is recorded with special folk instruments using the appropriate rhythms, you will hear that it is totally Belarusian folk song" , says Uzari. What will be the main contest version itself - is still unknown. Work in this direction is actively underway, are being explored various options, but there is still enough of time to mid-March. "If we decide to change something, it will primarily be improvement and extention of the violin hook, which will become more noticeable in the arrangement, vocal melody, and movements as well". Well, there is no wonder, since artists are presented as a full-fledged duet rather than featuring violinist with the vocalist. 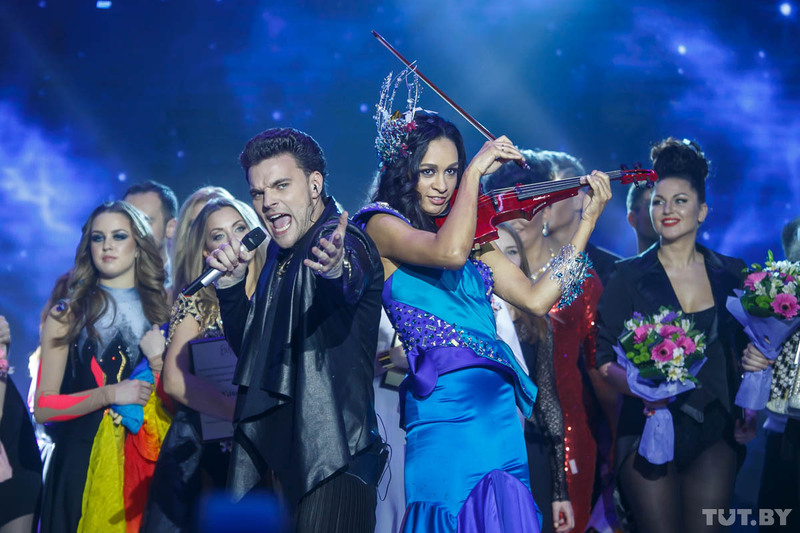 On this very contrast of vocal and violin offers to build the stage performance one of the jury members of the national selection, Eurovision expert Andy Mikheev. He shared with ESCKAZ.com his view on how Uzari and Maimuna stage presentation should look like: "The staging for "Time" I see as a game of contrasts and contradictions, a kind of fight between the dark forces and light, music battle, where there are not only the main characters - Uzari and Maymuna, but also their teams. Because, in my opinion, it is first of all necessary to expand and strengthen backing vocal group, using in it experienced performers who can not only make stronger vocal side of the composition, and support the lead singer, but also able to perform certain choreographic elements. As an example, we can take a look on Teo's team from Eurovision 2014, and even better, because there was an appropriate ratio of girls and boys - a team of Uzari himself, performing "The Winner" at the 2012 preselection.". Artists themselves still prefer not to give out own ideas of stage performance: "We have a basic idea of how it will look like. The sketches, as it should be, always stand in front of our eyes, and thank God they are the same for all of us. Right now we can just say: It won't be bike show or burlesque theatre! There will be something stylish and concise. We want to rely on the song first of all, since it is still a song contest!" You can follow details of preparations of Belarus participants on their social network pages: Facebook, VK, Instagram. UZARI (Юрий Навроцкий) – популярный белорусский артист, композитор, аранжировщик и исполнитель. Родился в городе Минске (Беларусь) 11 мая 1991 года в семье музыкантов. Его мать - Галина Грамович, известная певица, солистка государственного оркестра п/у Михаила Финберга. UZARI – автор и исполнитель собственного репертуара, наполненного разными красками современного звучания в стиле поп-рок и фольк. Сегодня с артистом ассоциируется, в первую очередь, продвинутость и высокий профессионализм. Юзари - это эквивалент имени Юрий на баскском языке, и, поскольку в артисте течет в том числе и баскская кровь, то его мама хотела дать ему это имя. Однако, зарегистрирован он был под более традиционным Юрий, приняв Юзари позднее в качестве сценического псевдонима. Закончил минскую среднюю школу №28 (класс с театральным уклоном), учился в Республиканском музыкальном колледже при Минской государственной консерватории по классу хорового дирижирования. В молодости серьезно занимался футболом, играл за "МТЗ РИПО" и был кандидатом в Юниорскую сборную Бедаруси. В 2013 году окончил Санкт-Петербургский государственный университет культуры и искусств, отделение эстрадно-джазового вокала. Во время учебы в вузе в 2008-2009 гг. исполнял роль Кая в мюзикле "Нежная Королева" Санкт-Петербургского государственного театра "Мюзик-Холл". В 2010 г. был солистом популярной Петербургской группы "True Jazz Band". В мае 2011 г. выступал в качестве бэк-вокалиста у представительницы Беларуси на международном конкурсе песни "Евровидение" Анастасии Винниковой в Дюссельдорфе (Германия) с песней "I Love Belarus". Лауреат (11 место) конкурса молодых исполнителей популярной музыки "Новая волна 2011", г. Юрмала (Латвия) (День1, День2, День3). Артист уже пытался пробиться на площадку международного песенного конкурса «Евровидение». В ноябре 2011 года UZARI с композицией "The Winner" был в числе 5 финалистов телевизионного музыкального проекта «Еврофест» (белорусского отборочного тура международного конкурса песни «Евровидение-2012»). Также певец принимал участие в национальном отборочном туре конкурса «Евровидение-2013» с композицией "Secret""Secret" (8 место). UZARI известен как автор аранжировки композиции "Сокал" для юной белорусской певицы Надежды Мисяковой, выступавшей на детском "Евровидении-2014". Лауреат телеконкурса "Песня Года" 2011 с "Что между нами", 2012 - "Tell Me", 2013 - "Secret". Выпустил также еще ряд синглов - "I Wish" (2011), "Just Live" (2012), "Чемпион" (дуэт с Ниной Богдановой, 2014). В 2011 году выпустил промо EP "The Winner", в который вошло 5 треков "Never Ever", "The Winner", "I Believe", "It's Time" и "I Wish". В настоящее время работает над записью дебютного альбома. Недавно открыл продакшн-компанию "Uzari Production", работающую в направлениях поп-музыки, джаз, соул, блюз и кантри, предлагающую услуги написания песен, записи, аранжировки, сведения и мастеринга, а также промоушена. Другие песни Юзари можно услышать на его страницах в soundcloud и Youtube. Маймуна Амаду Мурашко (девичья фамилия Дико) родилась в Санкт-Петербурге (Россия) 28 мая 1980 года. Начала свою сольную карьеру в 2009 году. Работает в стиле "Classical crossover". В жилах скрипачки течет белорусская африканская, испанская и украинская кровь. Родители скрипачки – химики. Мама - родом из Беларуси, а отец – уроженец Мали. Вскоре после рождения Маймуны ее семья переехала жить на родину отца, в Мали. Но судьба сложилась так, что когда девочке исполнилось четыре года, организм перестал справляться с жарким африканским климатом и ее решили незамедлительно отправить к бабушке, в Могилевскую область. В музыкальную школу Маймуну привела бабушка. Закончила Могилевский музыкальный колледж-гимназию, Музыкальную Академию в Минске. А после уже была консерватория, стипендия Специального фонда Президента Беларуси, Маймуна стала первой скрипкой Президентского оркестра и концертмейстером другого оркестра – под управлением Виктора Бабарикина. Обладательница многочисленных премий: лауреат международного конкурса "Юный виртуоз" 1990 (г. Киев, Украина); обладатель Гран-при международного конкурса, проходившего в Сморгони 1995 в составе камерного ансамбля; дипломантка международного конкурса "Музыка надежды" 1996. В 1999 году стала стипендиатом специального фонда Президента Республики Беларусь по поддержке талантливой молодежи. В 2003 году - концертмейстер Президентского оркестра Республики Беларусь. Записала "Юморески" (автор Кирилл Кристя) (2009), "Чардаш" Монти совместно с баянистом Павлом Невмержицким (2010), "Libertango" А.Пьяццоллы совместно с баянистом Павлом Невмержицким (2011), композицию "Queen of Africa" (2011) (автор - музыкант группы Aura и композитор песни Беларуси на Евровидении 2011 Евгений Олейник), на которую позже был снят видеоклип. Вышел в свет макси-сингл "Королева Африки", объединивший композиции, записанные в разное время, включая еще две песни Е.Олейника - "My Moon" и "Morena". В 2014 выпустила альбом "Showtime", который можно прослушать здесь. В 2012 году впервые выступила на национальном отборе на Евровидение в номере "Hands Up" группы Aura, а также исполнила песню "Queen of Africa" на "Славянском Базаре в Витебске" с балетом Мариданс. В 2013 году принимала участие в шоу канала ОНТ "Эстрадный коктейль". Маймуна в совершенстве владеет русским, английским и французским (выученным еще в детстве в Мали) языками. Замужем, растит дочь Диану (5 лет) и сына Филиппа (1 год). "Наша песня о главной ценности 21 века – времени, которое в одних случаях работает в нашу пользу, а в других - действует против нас"
"Time" - это первая совместная работа Юзари и Маймуны, записанная по предложению скрипачки. "Я не смог отказать такой яркой скрипачке как Maimuna! Не одну неделю провел в студии, записал целых 4 музыкальных варианта. Когда прослушали все версии, поняли, что финальная – лучшая. Ее и решили записать. Тембры голоса и скрипки прекрасно соединяются в припеве, это настоящий музыкальный диалог! Итог нашего сотрудничества понравился настолько, что мы подали заявку на белорусский отбор на "Евровидение-2015", рассказывает Юзари. Аранжировку к песне подготовил Виталий Судьин, сведение и мастеринг Дмитрий Голодко (FORZ Studio). На национальном отборе Юзари и Маймуна работали с хореографом Ольгой Шамровой (Детское Евровидение 2008, 2014, Евровидение 2011), компьютерным дизайнером Кириллом Блохиным, дизайнерами костюмов сестрами Мариной и Ольгой Парфинович, и бэк-вокалистками Аленой Процко и Татьяной Трухан. Перед национальным отбором также был проведен конкурс ремиксов на трек "Time", и победу одержал Yuri Artem REMIX, созданный одним из участников белорусского отбора Юрием Артемьевым. Эта версия вошла также в промосингл на песню. 10 мая белорусская делегация во главе с заместителем председателя Белтелерадиокомпании Маратом Марковым отправится в Вену (Австрия) на Международный конкурс песни "Евровидение-2015". Беларусь принимает участие в самом популярном песенном шоу Европы в 12-й раз. Официальные представители нашей страны дуэт Uzari & Maimuna с композицией "Time" выступят под номером одиннадцать в первом полуфинале 19 мая. Белорусская команда в этом году состоит из 21 человека. 12 мая Юзари и Маймуна опробуют сцену Венского городского зала (Wiener Stadthalle), где проведут первую индивидуальную репетицию. 15 мая конкурсанты проведут вторую репетицию, после чего дадут пресс-конференцию. Вечером 17 мая белорусский дуэт вместе с другими артистами примет участие в официальной церемонии открытия конкурса, которая состоится в венской ратуше. В Вену делегация Беларуси везет с собой промопродукцию: почтовые открытки, презентационные буклеты, блокноты и майки. Для поклонников также приготовлены пледы с изображением дуэта и ультрамодные электронные часы с застежкой из флэшки, на которой записана информация о Юзари и Маймуне. Прямую трансляцию двух полуфиналов и финала конкурса традиционно будут вести телеканалы "Беларусь 1" и "Беларусь 24". Комментировать музыкальное шоу будет журналист Агентства теленовостей Белтелерадиокомпании Евгений Перлин. В финале конкурса, который состоится 23 мая, баллы от Беларуси объявит популярный певец и телеведущий, участник прошлогоднего песенного форума Тео. Напомним, результат "Евровидения" определяется не только телезрителями со всей Европы, но и профессионалами в области музыкальной индустрии. В каждой стране общий итог голосования складывается на 50 процентов из голосования телезрителей и национального жюри. Состав жюри от Беларуси: директор телеканала "Беларусь 2" Наталья Маринова (председатель жюри); певец, композитор, шоумен Виталий Карпанов; эксперт в сфере культуры и искусства Оксана Артюшевская; певец, тренер по вокалу Алексей Гросс; певица, композитор Искуи Абалян; телеведущий, продюсер Дмитрий Карась (запасной член жюри). Узнавать о самых важных и интересных событиях, происходящих с дуэтом Uzari & Maimuna и их командой во время конкурсной недели, можно будет из сюжетов Агентства теленовостей Белтелерадиокомпании, а также специальных "Дневников "Евровидения", первый выпуск которых можно будет увидеть в эфире телеканала "Беларусь 1" уже 11 мая. Кроме того, на официальном сайте Белтелерадиокомпании tvr.by Юзари и Маймуна будут вести онлайн-дневник из Вены. Уже в воскресенье делегация Белтелерадиокомпании отправится в Вену, так как уже на понедельник запланирована первая репетиция на сцене концертного зала "Винер Штадхалле". О подготовке представителей Беларуси в полном составе сюжет Евгения Перлина. Юзари и Маймуна ушли в армию. По крайней мере, так вчера они своим родственникам заявили перед финальными прогонами концертного номера. Репетиции проходят в концертном зале воинской части 3214. Белорусский спецназ сам предложил Юзари и Маймуне тренироваться на их территории. И уже неделю артисты вместе с бэк-вокалистами тренируются в полный голос. До последнего артисты не собираются раскрывать задумку номера. И на репетицию не пускают посторонних журналистов. Однако уже четко ясна идея, которую будут нести Юзари и Маймуна на сцене "Евровидения". Обязательное требование режиссера - работать со всеми участниками нашего представления одновременно. Нина Драко говорит, что выступление не должно получится трагичным. Нина хочет видеть на сцене драму. О времени, которое способно исцелить. Сейчас артисты пакуют чемоданы в Вену и готовятся к репетициям с утра до вечера. Врач-фониатр посадил всех вокалистов на особую диету. В воскресенье днем Юзари и Маймуна вместе с делегацией Белтелерадиокомпании отправятся в Австрию. Съемочные группы АТН будут ежедневно делать репортажи и покажут все закулисье юбилейного, шестидесятого "Евровидения". Белорусские артисты Юзари и Маймуна получили роль в Австрийском телесериале. Прослушайте здесь лучшую кавер-версию, которую записали рок-группа Pitchmod и вокалист BreakTheSadness из города Гродно, Беларусь. Увидеть репортажи БТРК о конкурсе кавер-версий вы можете здесь и здесь. Белтелерадиокомпания подводит итоги конкурса кавер-версий песни "Time". Uzari & Maimuna выбрали из множества присланных аранжировок десятку лучших, которые и примут участие в финале интерактивного конкурса. Свои версии на белорусский хит прислали авторы из Австралии, Италии и даже США. Больше всего участников, конечно же, из Беларуси. Судьбу победителя конкурса будет решать вся страна. 3 апреля в прямом эфире радиостанции "Радиус FM" слушатели посредством смс-голосования определят лучшую кавер-версию. Ее автор получит два билета на концерт первого полуфинала "Евровидения-2015", в котором выступают представители Беларуси. Шоу пройдет с 17.00 до 19.00. Ранее сообщалось, что итоги будут подведены 2 апреля. Однако артисты получили предложение выступить в этот день на праздничном концерте, посвященном Дню единения народов Беларуси и России. Сегодня, представители Беларуси Юзари и Маймуна приняли участие в онлайн-конференции, где ответили на вопросы белорусских и зарубежных поклонников конкурса. С конференции велся прямой видеоэфир, и его запись вы можете увидеть здесь. C текстовой версией онлайн-конференции вы можете познакомиться на сайте БТРК. Маймуна: "Мне нравится две наших версии: и старая, и новая. Над старой версией мы очень много работали, и это было наше самое первое детище, мы ее тоже очень любим, возможно, будем исполнять и ее. Но, как показала практика, она слишком сложная для этого конкурса, какие-то моменты нужно было адаптировать для "Евровидения". Дело в том, что у нас необычный дуэт - голос и инструмент - это уже достаточно сложный образ, и к тому же у нас были такие моменты в композиции, которые для этого конкурса сложно воспринимались. Была нестандартная, очень сложная форма, поэтому мы вместе пришли к такому решению, что нам нужно сделать ее легче". Юзари: "Дело в том, что с аранжировкой ничего такого серьезного не произошло. Если говорить о припеве, то в нем в принципе ничего не было изменено. Просто была измена форма песни, ее начало, увеличили мелодию припева. Потому что все-таки в старой версии мелодия припева звучала только два раза. Начали с мотива припева, потому что нам кажется, что он очень красивый, лирический, мечтательный. И скрипочку мы поменяли, и сделали более сложное развернутое соло". "Мы отправили заявки и попросили присылать свои идеи клипа, выбрали лучшую, на наш взгляд. Нам было важно, чтобы учли, что это дуэт, учли какие-то стилистические особенности. И только одна заявка была законченная и соответствовала нашим пожеланиям, плюс сразу же предлагался метод ее воплощения. Клип нам снимали великолепные ребята, молодые, амбициозные, драйвовые. Стояла задача за сутки со всем справиться. Условия были спартанские - было очень холодно, но, наверное, это и помогло создать настрой и атмосферу в клипе, почувствовать сложность времени и передать это. В этом клипе много смыслов. Прелесть его в том, что каждый может понять финал по-разному. Грубо говоря, это и обман в отношениях мужчины и женщины или других людей, и возможность оказаться на месте другого, и способность принести себя в жертву ради другого"
Маймуна: "Номер нам ставит Нина Драко - известный режиссер. В номере мы будем вдвоем с Юзари и наша скрипка. Номер будет достаточно сильно отличаться от постановки на национальном отборе. Все будет достойно и красиво". Юзари: "Все хотят узнать, что будет в номере, но тогда не будет кайфа на сцене, у нас, например. Если мы сейчас все расскажем, то выходя на сцену, будем понимать, что все уже знают, что сейчас произойдет. А так неинтересно". Маймуна: "Костюмы для нас разрабатывает очень талантливый белорусский дизайнер Ольга Бухал. Также она работала над нашим имиджем во время фотосессии. Результаты творчества появятся на нашей промопродукции. Над нашим визажем, нашими лицами и в общем образами на сцене будет работать стилист Надя Слижевская". Маймуна: "Мы, как и остальные 39 участников этого конкурса, конечно же, хотим победить. Если мы скажем, что для нас важно только участие, это будет неправдой. Мы, конечно же, хотим победить, и делаем для этого все возможное. В нашем полуфинале, насколько я помню, песни разные и интересные, выделить кого-то сложно. В этом году конкурс очень разноплановый, своеобразный". Юзари: "Дуэтов в этого году достаточно много, но именно такого как у нас - нет. Мне кажется, что песни с таким философским смыслом тоже нет". В Вене сегодня прошли финальные съемки белорусской визитки для "Евровидения". Юзари и Маймуна появились на съемочной площадке с самого утра. Их ждали гримеры. Затем артисты попали на площадку популярного сериала в Западной Европе – "Tatort". Этот фильм в Австрии, Германии и Нидерландах возглавляет все телевизионные рейтинги. Каждое воскресенье миллионы европейских телезрителей следят за сюжетом этого детективного сериала. И, во-первых, Юзари и Маймуна попали в одну из серий этого проекта. Во-вторых, кадры со съемок попадут в визитку Беларуси. Накануне участники конкурса смогли прогуляться по Вене, ознакомиться с городом и увидеть концертный зал, где в мае пройдет "Евровидение". Артисты также сегодня увидели отель, в котором им предстоит в мае две недели жить и готовится к "Евровидению". Также сегодня у Юзари и Маймуны в планах встреча с руководством конкурса. Завтра утром Юзари и Маймуна, а также представители Белтелерадиокомпании вернутся в Минск и продолжат подготовку концертного номера. Репортажи БТРК из Вены можно увидеть здесь и здесь. Во вторник 31 марта с 11.00 до 12.00 интернет-гостиную главного медиахолдинга посетят координатор проектов Белтелерадиокомпании и ЕВС Ольга Саламаха, руководитель проекта "Евровидение" в Беларуси Ольга Шлягер, а также официальные представители Беларуси на международном конкурсе песни "Евровидение-2015" дуэт Uzari & Maimuna. В ходе онлайн-конференции, которая состоится на официальном сайте Белтелерадиокомпании tvr.by, руководство проекта и артисты ответят на вопросы интернет-пользователей, поклонников, отечественных и зарубежных журналистов. В частности, гости расскажут о том, как проходит подготовка к "Евровидению", кто в этом году входит в состав белорусской команды, когда будут подведены итоги конкурса кавер-версий на песню "Time", как прошли съемки визитки Беларуси в Вене и какие впечатления остались у Юзари и Маймуны от посещения песенной столицы Европы. Свои вопросы можно будет задать, заполнив специальную форму на сайте www.tvr.by или отправить на электронный адрес internet@tvr.by. С ответами на вопросы, а также с фоторепортажем и видеосюжетом можно будет ознакомиться на сайте Белтелерадиокомпании в соответствующем разделе. В этом же разделе находится архив предыдущих конференций и вы можете прочитать декабрьскую онлайн-конференцию с Юзари и Маймуной и Ольгой Шлягер. У Юзари и Маймуны на днях прошла профессиональная фотосессия - короткий репортаж о ней смогли увидеть зрители новостного выпуска "Беларусь 1". Белорусских участников "Евровидения" в модный павильон пригласила известный белорусский фотограф Татьяна Кежа. Сейчас на завершающем этапе оформление промопродукции. И дизайнеры потребовали ярких снимков Юзари и Маймуны. Первая часть съемок прошла в классических нарядах. Однако отметим, что это не те костюмы, в которых будет выступать белорусский дуэт на "Евровидении". А вторая половина съемок - это уже эксперимент фотографа. После обработки фото появятся на промопродукции Юзари и Маймуны - это буклеты и брендированные майки. И уже завтра белорусские участники "Евровидения" отправятся в Вену на два дня для завершения съемок видеовизитки Беларуси. Юзари и Маймуна – дуэт, который будет представлять Беларусь на конкурсе "Евровидение-2015" в Вене - ответили на вопросы ведущей программы "Большой завтрак" телеканала CTV. Видеозапись интервью можно увидеть здесь. Маймуна: "Настроение у нас отличное. Подготовили и костюмы. Мой еще не до конца, но уже подходит к своему завершающему этапу". Юзари: "Собственно, уже есть эльфийский образ, немножечко другой, чем был раньше". Маймуна: "Во-первых, у нас уже композиция немного необычная. На моей памяти не было такого, чтобы это был равноправный дуэт вокалиста и инструменталиста. Это за собой несет какую-то сложность. Мы даже столкнулись с проблемой, немного переделали аранжировку, потому что песня была, на самом деле, сложная. Возможно, даже для этого конкурса. Нам нравилась в том виде, в котором она была, но нам пришлось ее немножко адаптировать под этот конкурс". Юзари: "Просто добавить нотку другого жанра. То есть характер тот же, настроение то же". Маймуна: "У нас такое сочетание поп-рока и классики. Симфонические какие-то есть моменты. То есть в этом уже сложность. Поэтому усложнять номер какими-то акробатическими этюдами… мы не будем". Юзари: "Дело в том, что самое важное – показать чувство вкуса, стиля, а не перебарщивать и показывать свои возможности излишне. Очень важно, чтобы зритель захотел еще раз увидеть и еще раз услышать". Сегодня в Минске прошли съемки основной части видеовизитки Беларуси, которая будет предварять выступление дуэта Uzari & Maimuna во время трансляции Международного конкурса песни "Евровидение-2015". Темой посткардов этого года является бандероль-сюрприз, отправленная организаторами конкурса, которую доставляет участникам работник национальной почтовой службы. Подарок включает в себя приглашение в Австрию, где 25-27 марта артистов ожидает сюрприз. Австрийский оператор Матиас Потч - один из трех операторов, которым предстоит сделать видеовизитки для всех сорока участников "Евровидения". На каждого примерно по 13 стран. Время съемок назначено на 8 утра. Центр Минска казался свободным, но буквально за полчаса трафик остановил город. Необходимо было выбрать самые красивые места в центре города и снять видео, как будто подарок из Вены на фирменном автомобиле везет работник РУП "Белпочта". Съемки проходили в Верхнем городе, Троицком предместье, у оперного театра и в районе площади Победы. Около 10 утра на съемочную площадку приехали Юзари и Маймуна. Отметим, что заранее австрийскими телевизионщиками и продюсерами конкурса "Евровидение" была проведена подготовительная работа по выбору места съемок, в частности, искали наиболее подходящую дверь, чтобы в кадре это выглядело интересно и по-европейски. Таким образом, часть визитки с участием Юзари и Маймуны снимали в Верхнем городе, где и нашли подходящую дверь. Австрийскому гостю понравился солнечный Минск, красивый и большой квартал Старого города. Матиас Потч рассказал, что он уже снял визитки для 10 стран. Телевизионщик надеется, что у него получится раскрыть в таком небольшом, но важном видео, как визитка, особенность нашей страны, чтобы зрители по время трансляции шоу смогли получить более полную картину о Беларуси. Во время съемок не обошлось без курьезов. Работник Белпочты, который якобы доставил посылку из Вены на имя Юзари и Маймуны, согласно задумке организаторов, должен был оставить ее на пороге перед дверью. Но ответственный сотрудник отказался таким образом выполнять свои обязанности, объясняя это тем, что ему полагается вручать посылки только из рук в руки. Съемочной группе пришлось уговаривать почтового курьера, ведь по сюжету бандероль-сюрприз оставляется именно на пороге! До самого последнего момента, до финального дубля Юзари и Маймуне на съемках запрещали заглядывать в коробку! Три часа съемок они были заинтригованы. Но доставка посылки - это еще не весь сюжет визитки для "Евровидения". В начале следующей недели Юзари и Маймуна отправятся в Австрию снимать финальную часть. Весь день вместе с австрийской командой работала и съемочная группа Агентства теленовостей в составе журналиста Евгения Перлина и оператора Олега Соркина. Все подробности совместной работы зрители "Беларусь 1" увидели в программе "Панорама". На протяжении всей недели караоке зал "Grand Bellagio" стал тренировочным лагерем для представителей Беларуси на "Евровидение 2015". Напомним, что в этом году покорять европейский музыкальный олимп отправится дуэт Uzari & Maimuna. Усилит голос солиста команда бэк-вокалистов: Артем Ахпаш, Денис Лис и Юрий Селезнев. Артем Ахпаш известен гостям казино "Белая Вежа" как сессионный ведущий шоу, а Юрий Селезнев уже давно стал резидентом пятничных и субботних вечеров в ресторане "GrandBellagio". Все тренировки проходили при участии известного киприотского певца, композитора, продюсера и педагога по вокалу Алекса Панайи. Репортаж Евгения Перлина о подготовке можно увидеть здесь. Стал известен третий бэк-вокалист, который присоединится к команде Юзари и Маймуны. На бэк-вокале выступят три участника прошлогоднего номера Тео: Артем Ахпаш, Денис Лис и Юрий Селезнев. Уже в ближайшее время начнутся первые репетиции. Чтобы дать уроки Юзари, а также бэк-вокалистам Денису Лису, Артему Ахпашу и Юрию Селезневу приезжает известный киприотский исполнитель, композитор, продюсер Алекс Панайи. Артём Ахпаш - белорус с греческими корнями, профессиональный ведущий, диктор, вокалист. Выпускник Белгосуниверситета культуры и искусств. В недавнем прошлом Dj утреннего шоу "Мужская территория" (Радиус FM), а также ведущий утренней программы "Утро. Студия хорошего настроения" (телеканал СТВ). Более двух лет является "голосом" программы "Автопанорама" (телеканал СТВ). Ведущий многочисленных концертов, шоу-программ, корпоративных вечеров, свадеб, выпускных и т.п. Единственный в Беларуси певец, исполняющий эстрадные и фольклорные песни на греческом языке. Он является лауреатом различных фестивалей, в числе которых: фестиваль национальных культур ( г. Гродно), фестиваль греческой эстрадной песни (Украина, г Мариуполь), фестиваль греческой культуры "Мега Юрты" (Украина, Мариуполь). Выступал в национальном отборе 2008 года в составе группы PiNcode, а также бэк-вокалистом Анастасии Винниковой в ее выступлении на Евровидении. Представители Беларуси на конкурсе песни "Евровидение-2015" Uzari & Maimuna сняли видеоклип на композицию "Time". В конкурсе съемочных групп по созданию клипа на евровизионную песню участвовали 19 продакшн-компаний. Для работы над своим видео Юзари и Маймуна выбрали белорусскую команду, а ролик снимали в павильоне под Минском. Главный герой – Юзари – предстанет в образе сказочного и даже мистического персонажа – эльфа нашего времени. Герой из иной реальности должен спасти в финале девушку – Маймуну. Своими впечатлениями о том, как все происходило, в репортаже для программы "Главный Эфир" поделился корреспондент АТН Белтелерадиокомпании Евгений Перлин, побывавший на съемочной площадке: "Начались съемки клипа Юзари и Маймуны с беговой дорожки. Более трех часов на площадке певцу пришлось заниматься фитнесом. Дубль за дублем, и скорость – около 20 километров в час", – вспоминает журналист. По задумке режиссера, Юзари для спасения Маймуны нужно было пройти через все стихии. Именно поэтому каждый час на площадке в павильоне менялась "погода": сначала был дым, потом – снег, затем – огонь и ветер. "Судя по сценарию, клип будет полон спецэффектов. Специально для съемок в павильон было привезено 11 тонн песка, ведь по сюжету Юзари бежит по большой пустыне. Впечатляют также огромные песочные часы высотой 3 метра, внутри которых будет находиться Маймуна со своей скрипкой", – рассказал Евгений Перлин. Ни артисты, ни съемочная группа не выдают финал клипа, и пока он держится в тайне. Премьера ролика запланирована на первую половину марта. Ведь уже 16 марта белорусская делегация в составе руководителей Белтелерадиокомпании представит организаторам "Евровидения" пакет материалов, необходимый для участия наших артистов в конкурсе, в том числе, и клип, который будет транслироваться на национальных каналах всех 40 стран-участниц конкурса. Отметим, что клип – это не обязательное условие Европейского Вещательного Союза для конкурса, однако яркое видео дает дополнительные шансы заполучить поклонников по всей Европе. Стало официально известно, что на Евровидении в Вене вместе с Юзари и Маймуной выступят еще как минимум два бэк-вокалиста: Денис Лис и Юрий Селезнев. Денис Лис - профессиональный вокалист, музыкант, композитор. Lis не только талантливый вокалист, он также является замечательным преподавателем Белорусского Государственного колледжа искусств. Несколько лет преподавал в Витебском колледже культуры и искусств. В 2014 году Денис выступал на Евровидении в Копенгагене в составе бэк-вокальной группы Тео. На национальном отборе 2015 года представлял сольную песню "Angel", а в прошлые годы выступал на нем в качестве бэк-вокалиста Гюнешь и Дмитрия Колдуна (являясь также автором текста его конкурсной песни "Ангел мечты"). Юрий Селезнев окончил Витебское государственное музыкальное училище по классу труба, Белорусский государственный университет культуры и искусств. Увлечения – тайцзицюань, психология, велосипед, поэзия, сочинение музыки. В настоящее время солист Национального концертного оркестр Республики Беларусь под управлением Михаила Финберга. Поет в кавер-бэнде "Домино" и группе "Chiefs Band". Выступал в номере Юзари на национальном отборе 2012 года и был бэк-вокалистом на Евровидении 2014 в Копенгагене в составе команды Тео. Его музыку можно услышать здесь. Напомним, что на национальном отборе Юзари и Маймуна выступали с двумя бэк-вокалистками, Аленой Процко и Татьяной Трухан. Также за последние дни стало известно, что Uzari & Maimuna выступят на сцене Евровидения в костюмах от Ольги Бухал, разрабатывавшей наряды для представительницы Беларуси на детском Евровидении-2014 Надежды Мисяковой и ее балета. Евровизионную промопродукцию для Uzari & Maimuna разрабатывает фотограф и дизайнер Анна Герт. В самое ближайшее время в Минск по приглашению медиахолдинга прибудет известный кипрский певец, композитор, продюсер и педагог по вокалу Алекс Панайи. Напомним, Алекс сам дважды представлял свою родину на популярном песенном шоу Европы, а также готовил к конкурсу Елену Папаризу, сестёр Толмачёвых, и белорусских участников «Евровидения» 2013 и 2014 гг.– Алену Ланскую и Тео. На занятиях с Панайи Юзари и бэк-вокалисты будут совершенствовать свой вокал. Помимо этого, по приглашению медиахолдинга в период подготовки к конкурсу и во время его проведения с зарубежными СМИ, активно освещающими популярный форум, будет работать PR-менеджер Кэтрин Локетт (Австралия/Швейцария), которая является пресс-атташе конкурса "Детское Евровидение" и уже тесно сотрудничала с белорусской командой в прошлом году. Сегодня Uzari & Maimuna приступят к съемкам клипа на песню "Time". Снимает клип компания MediaCube. Продюсером видеоролика выступит Михаил Быченок, а режиссёром – Митрий Семенов-Алейников. Специально для съемок в павильоне были выстроены уникальные декорации – гигантские часы. Клип будет полон спецэффектов и захватывающих поворотов сюжета. Белтелерадиокомпания и представители Беларуси на Евровидении 2015 Uzari & Maimuna объявляют о начале конкурса кавер-версий на песню "Time". Главный приз – два билета на юбилейное шоу "Евровидения". Желающим принять участие в конкурсе необходимо записать свою версию "Time", прислать ее до 31 марта на электронный ящик uzari.maimuna@gmail.com в аудио- или видео-формате. Из присланных композиций Юзари и Маймуна выберут десятку лучших. Судьбу победителя конкурса будет решать вся страна. 2 апреля в прямом эфире радиостанции «Радиус FM» слушатели посредством смс-голосования определят лучшую кавер-версию. Ее автор получит два билета на концерт первого полуфинала "Евровидения-2015", в котором выступают представители Беларуси, а также право исполнить свою версию песни "Time" в прямом эфире на телеканале "Беларусь 1". Основные требования: участники конкурса должны быть старше 18 лет, длительность конкурсной кавер-композиции не должна превышать трех минут. Кавер-версия песни "Time" может быть записана на любом оборудовании, на русском, белорусском или английском языке, при этом она не должна являться прямым переводом евровизийной конкурсной композиции. Напомним, что аналогичный конкурс в прошлом году проводился и для песни Тео "Cheesecake". Представители Беларуси на Евровидении 2015 Uzari & Maimuna завершают работу над новой аранжировкой конкурсной композиции "Time". Впервые обновленная версия прозвучит уже 25 февраля на сцене столичного Дворца спорта во время торжественной церемонии награждения победителей открытого публичного конкурса "Триумф. Героям спорта 2014". Вечером того же дня во время трансляции телеверсии шоу работу смогут оценить зрители "Беларусь 1" и международного спутникового телеканала "Беларусь 24". "В работе над аранжировкой принимала участие и украинская группа Quest Pistols, они нам что-то советовали, помогали. Скорее всего они будут заниматься сведением и мастерингом композиции"
В ближайшие дни Юзари перезапишет и вокальную партию, а сразу после этого Юзари и Маймуне приступят к съемкам клипа. Для этого выбрана белорусская-продакшн компания, и, судя по сценарию, клип будет полон спецэффектов. От съемок на улице отказались из-за деликатного отношения к инструменту Маймуны, а вот в павильоне скоро начнется возведение огромных песочных часов. Разработкой сценических костюмов также занимаются белорусские модельеры, у Маймуны планируется желтое платье. Его верхняя часть символизирует отсыл к будущему, а нижняя – распад прошлого. В наряде зашифруют и инициалы артистов – U&M. А у Юзари космическая тематика в цвете – темный графит. Идет работа и над макияжем и прическами. Образы для Юзари и Маймуны готовила стилист Надежда Слижевская. Несколько занятий с музыкантами проведет несколько педагог по актерскому мастерству. Чтобы быть готовыми к многомилионной телеаудитории, с артистами поработает психолог, ведутся тренинги по общению с журналистами, и уже идут занятия с педагогом по вокалу. Руководство Белтелерадиокомпании сейчас определяется и с промопродукцией. В этом году на Евровидение белорусские дуэт повезет не промо-диск, а флешку в форме часов. Еще один промоподарок – магнитик в форме песочных часов и с логотипом белорусских исполнителей. Репортаж БТРК о подготовке артистов можно увидеть здесь. Менее месяца осталось до официальной встречи в Вене глав делегаций конкурса песни "Евровидение-2015": уже 16 марта белорусская делегация в составе руководителей медиахолдинга представит организаторам шоу полный пакет материалов, необходимый для участия официальных представителей Беларуси. А 18 апреля Uzari & Maimuna, представители Белтелерадиокомпании и съемочная группа Агентства теленовостей примут участие в "Концерте Евровидения" в Амстердаме, где встретятся практически все участники предстоящего песенного шоу. Вечеринка в Амстердаме считается самым большим промособытием в преддверии песенного конкурса. Официальные представители разных стран на «Евровидении-2015» смогут познакомиться, исполнить свои конкурсные композиции, пообщаться с журналистами международных СМИ, активно освещающих популярный песенный форум. Представители Беларуси на конкурсе Евровидение 2015 Юзари и Маймуна продолжают подготовку к своему участию в международном шоу. Артисты выступили со своей композицией Time в программе телеканала СТВ "На том же месте, в тот же час", стали гостями программ "Главный эфир" (25 января и 28 декабря), "Панорама", "Беларусь LIFE", "ТелеУтро" на каналах БТРК, "Наше утро" канала ОНТ и др, дали интервью газетам "Знамя юности", "Зорька", сайту БелТА. Недавно, исполнители стали гостями "Еврорадио" и мы приводим некоторые выдержки из данного интервью. "Мы настроены не так, как предыдущие представители Беларуси", говорит Юзари. "Для нас конкурс - нет стометровка. Нельзя сравнивать спорт с творчеством. Хочется, чтобы к этому относились проще и с удовольствием, а не как к факелу, который должен быть передан в другую страну. То есть чем проще и спокойнее ты относишься к задаче, тем более трезво, рационально и без всякой боязни ты оцениваешь ситуацию. А если биться в панике и говорить, что мы что-то не учли, то, естественно, что-то сделаешь не так". Певец отметил важность формирования команды подготовки артиста: "Команда, которая работает над подготовкой номера должна отдавать себя не на 100 процентов, а на всю тысячу! Каждый человек. И чем более гибкий твой характер, тем быстрее ты вливаешся в команду. Если ты вне команды, то никакого результата не будет. Результат может появиться только благодаря командной игре". В прошлые годы в подготовках представителей Беларуси зачастую были задействованы иностранные специалисты - это и аранжировщики, и хореографы, и педагоги по вокалу, и пиар-менеджеры. На сегодняшний день Юзари и Маймуна работают с полностью белорусской командой подготовки, как это было последний раз при участии в Евровидении в 2011 году, где Юзари выступал на бэк-вокале у Анастасии Винниковой - выступление, которое, как считает исполнитель, дало ему неоценимый опыт и понимание того, что собой представляет Евронеделя конкурса. Однако, не исключено, что в составе группы подготовки все-таки появятся и иностранные консультанты. Одной из ежегодных проблем участников Евровидения артист считает склонность концентрироваться на одной песне. "Дело в том, что в "Евровидении" есть один существенный и очень жирный минус - победитель является, к сожалению, исполнителем одной песни. Всех, кто побеждал, знали только по одной песне. Плюсы, естественно, тоже есть: победить в таком масштабном конкурсе - это, естественно, здорово. Но конкурсанты берут на себя этот жирный минус, то есть становятся таким штампованным артистом одной песни". Однако, рецепт борьбы с этим есть - у финалиста Евровидения должен быть к моменту финала конкурса готов как минимум follow-up сингл, а в идеале - целый новый альбом. Успеет ли Юзари, уже имеющий в своем багаже около десятка хит-синглов, подготовить к маю полноценный дебютный сольный диск? По крайней мере в интервью ESCKAZ в декабре он сказал, что работа над ним ведется. Одно уже точно - в ближайшем будущем слушатели услышат ряд альтернативных версий конкурсной композиции "Time", чтобы продемонстрировать ее с разных сторон. Уже записаны версии в стилях кантри, электро-поп, акустическая версия. Возможно, появится и фольклорная версия Time: "Если мелодию нашей песни переложить на фольклорный образ, сыграть специальными народными инструментами, используя соответствующие ритмы, то вы услышите, что это абсолютно белорусский народная композиция", говорит Юзари. Какой же будет сама основная конкурсная версия - пока неизвестно. Работа в этом направлении ведется активная, прорабатываются различные варианты, но времени до середины марта еще достаточно. "Если мы все-таки решим что-то поменять, то будет прежде всего дорабатываться и расширяться хук скрипки, который будет более заметен и в аранжировке и в вокальной мелодии, и в движениях". Что же, это справедливо, ведь не зря исполнители песни представлены как полноценный дуэт, а не featuring скрипачки при вокалисте. Как раз на этом противопоставлении вокала и скрипки предлагает сыграть и один из членов жюри национального отбора Беларуси, эксперт в области конкурсов Евровидения Андрей Михеев. Он поделился с ESCKAZ.com о том, каким видит номер Юзари и Маймуны: "Номер на композицию "Time" мне представляется игрой на контрастах и противоречиях, своего рода битвой темных сил со светлыми, музыкальным баттлом, где существуют не только главные персонажи - Юзари и Маймуна, но и их команды. Потому, на мой взгляд, необходимо прежде всего расширять и укреплять бэк-вокальную группу, используя в этом качестве опытных исполнителей, способных не только сделать более сильной вокальную сторону композиции и поддержать тем самым солиста, но и выполнять определенные хореографические движения. В качестве примера можно привести бэк-команду Тео на прошлом Евровидении 2014, а еще лучше, поскольку там было подходящее соотношение девушек и молодых людей - команду самого Юзари, выступавшего с песней "The Winner" на отборе на Евровидение 2012". Сами же артисты о своих идеях сценического воплощения своей песни пока предпочитают не рассказывать: "Мы приблизительно представляем, что это будет. Наброски, как это должно быть, у нас стоят перед глазами, причем у всех одинаковые, слава Богу. Точно скажем: Мопед-шоу не будет! Театра бурлеск тоже не будет. Будет что-то стильное и лаконичное. Ведь все же большую роль должна играть композиция. Это же конкурс песни!" За подробностями подготовки белорусских исполнителей можно следить в социальных сетях: Facebook, VK, Instagram.